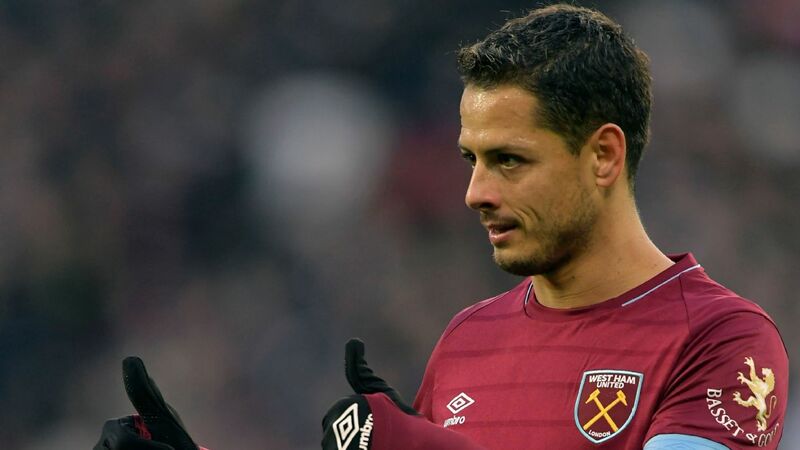 Valencia manager Marcelino Garcia Toral said the La Liga club is trying to bring in Javier "Chicharito" Hernandez but added that the Mexico international's current club, West Ham United, would prefer a transfer instead of a loan. "Chicharito is an option because he plays so little and is keen to come, but the situation is complicated," Garcia Toral said at news conference. "The little information I have is that West Ham only are thinking of a sale option. But I make lineups, I don't say yes or no on buying players." Valencia want to bring West Ham's Javier 'Chicharito' Hernandez back to La Liga. The former Manchester United and Real Madrid player has seen limited playing time this season with the Hammers, having scored five goals in 17 matches across all competitions. The 30-year-old missed a month at the beginning of the Premier League season due to a prolonged virus. In an interview with Spanish outlet Marca in November, Mexico's all-time leading scorer said he would not rule out a departure from the East London side in pursuit of more playing time. Los Che are reportedly looking at moving on from Michy Batshuayi, who is on loan from Chelsea, although efforts to move the Belgium international have stalled. "The club is working for [Hernandez's arrival] to happen, there not a lot of options, we are looking at the ones that exist and see if we can get to an agreement and we'll see. If he comes, I think it will all work out in the end."